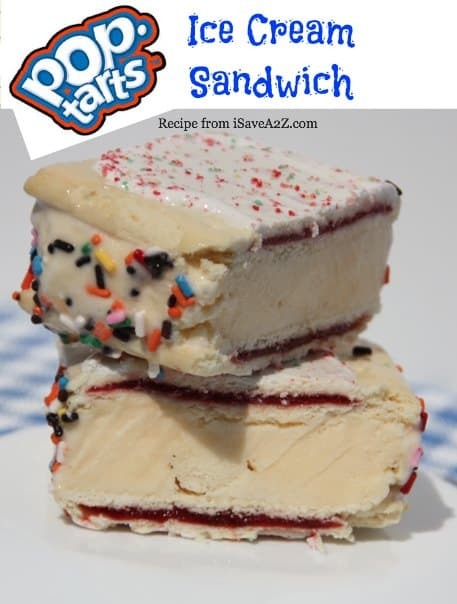 I can’t believe I just made a Pop Tarts Ice Cream Sandwich. I don’t know if I am just lazy or obsessed with no bake desserts! My daughter wants to try the Cinnamon Pop Tarts next! I want blueberry! 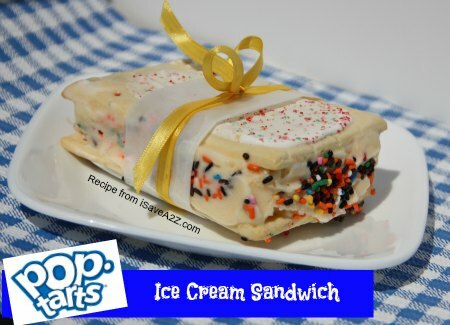 I started off by showing you all my No Bake Ice Cream Sandwich cake tutorial, which is always a hit with everyone when I make it! But then I tried to get a bit more healthy and attempted a No Bake Watermelon Cake recipe too! Which, by the way, is amazing! I encourage you to try it! It’s kinda funny to learn that kids really like anything presented in a cake form! My kids gobbled up that fruit! haha! Get one package of your favorite flavor of Pop Tarts. Add your favorite ice cream in between them. Freeze for about a half an hour. Voila! That’s its! I ended up adding a wax paper around the middle of it with a ribbon so the kiddos would have a place to hold it. These would make really cute party ideas too! I presenting fun and different party ideas! Imagine presenting these with a cute little decorative string around them and served in these snack serving trays! How cute!!! 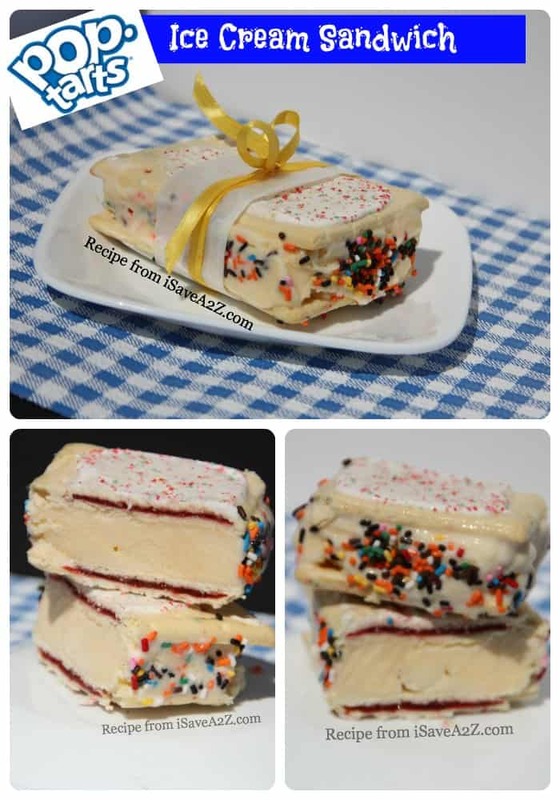 By Jennifer on August 23, 2013 Desserts, Popular Posts, Recipes.